I always have too many egg whites in the freezer ^^", well if you make a lot of ice cream you may have the same problem too. 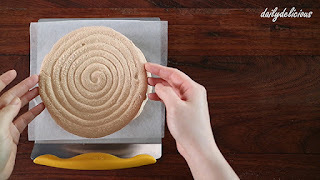 But you can call it problem or blessing, it depends on how you deal with it. 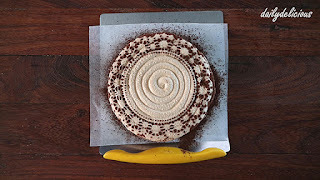 So this time rather than keeping it without knowing what to do, I turn it into delicious, cute and very easy cake. 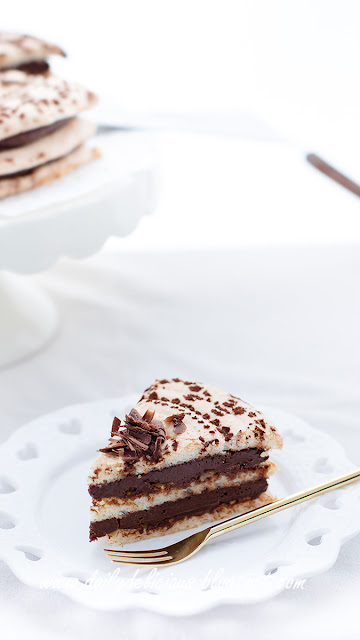 This cake is made from Daquoise or almond biscuit that's easier and take less time to make than meringues and yes, it's very delicious too. 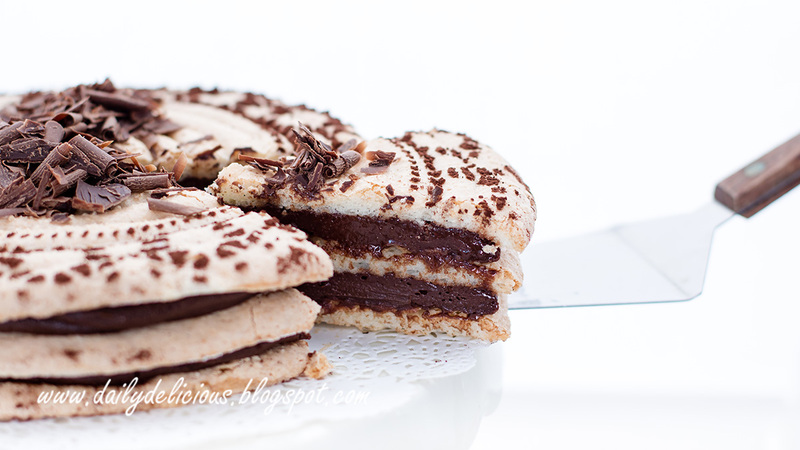 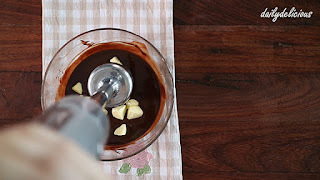 The filling is soft chocolate ganache, with load of butter ^^. You can use glucose instead of the honey in the ganache if you don't like honey. 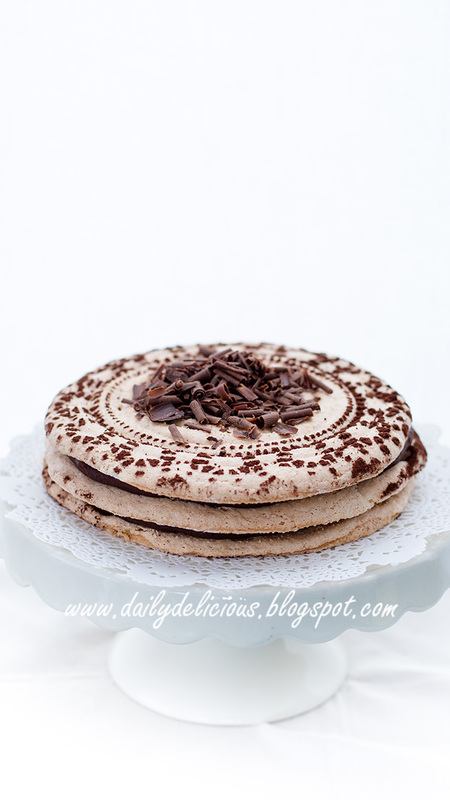 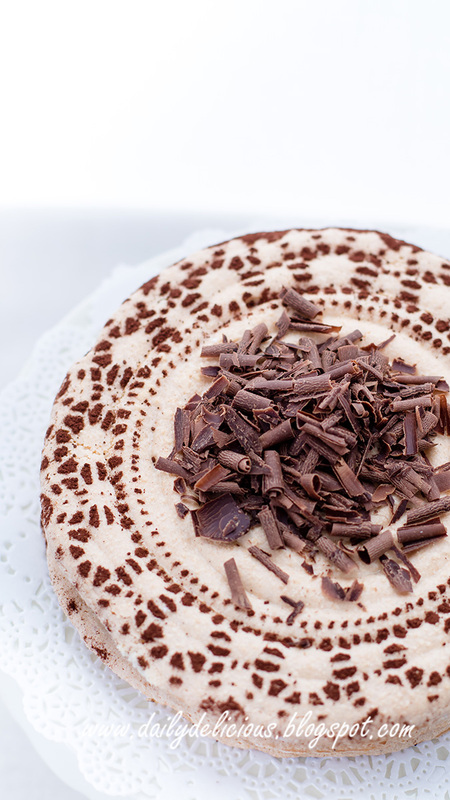 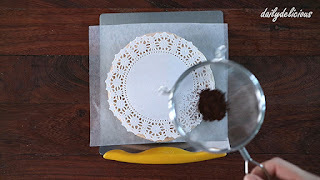 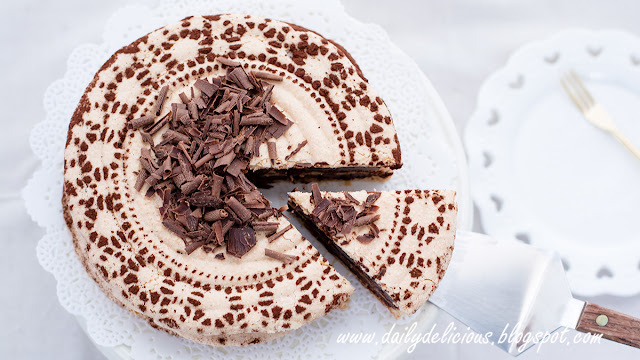 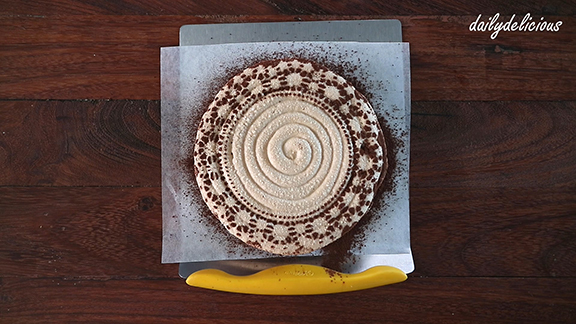 I decorated my cake by sifting the cocoa powder over a piece of doily paper, it makes this small cake very, very cute. Serve it with a cup of hot drink and enjoy! 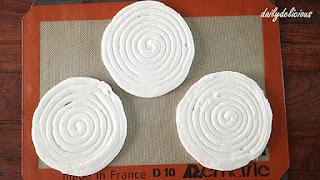 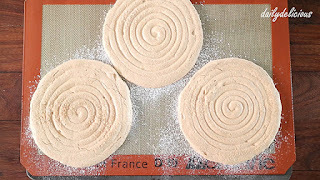 Line baking sheet with baking paper or Silpat. 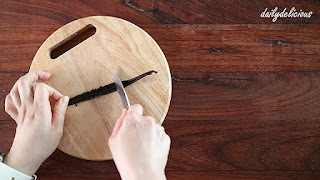 Cut the vanilla bean in half, and remove the seeds. 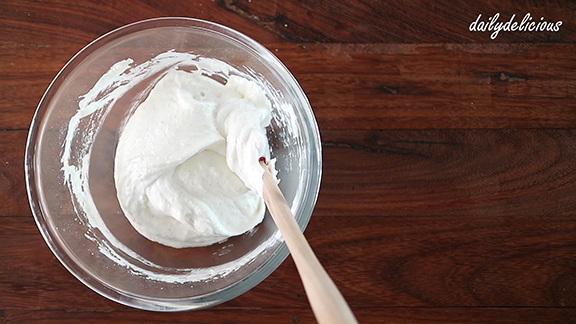 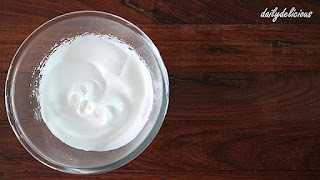 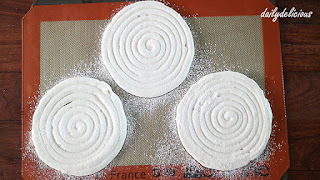 Beat the egg whites with pinch of salt until foamy, add the granulated sugar gradually, and whip until firm peaks formed. 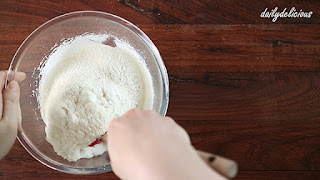 Sift icing sugar, cake flour, almond powder and vanilla seeds into the bowl. Put the batter into a piping bag, fitted with 1.2 cm nozzle. Pipe into 3 (15cm) rounds. 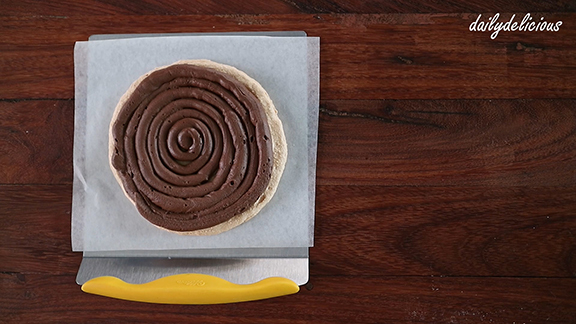 Let them cool completely on a baking sheet. 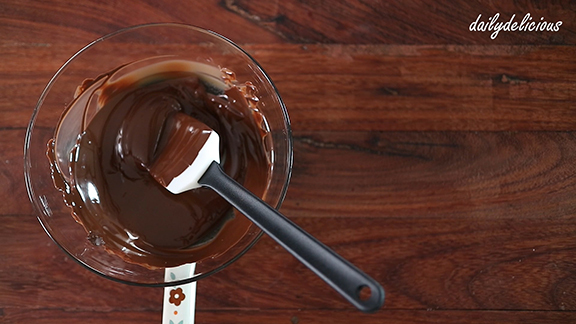 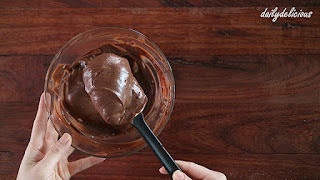 Melt the dark chocolate by put in a bowl and place a bowl over hot water, stir lightly until fully melt. 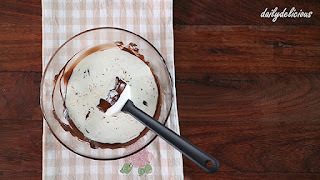 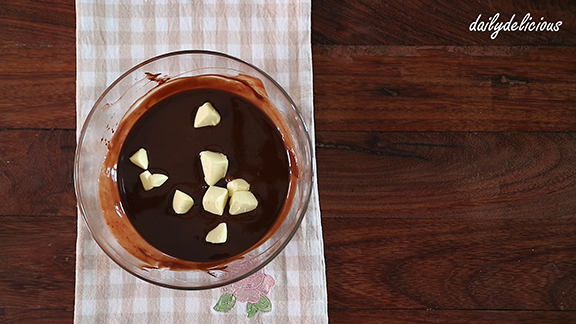 Warm the whipping cream in a microwave until hot (but not become boil), pour the hot whipping cream into the chocolate bowl with honey. 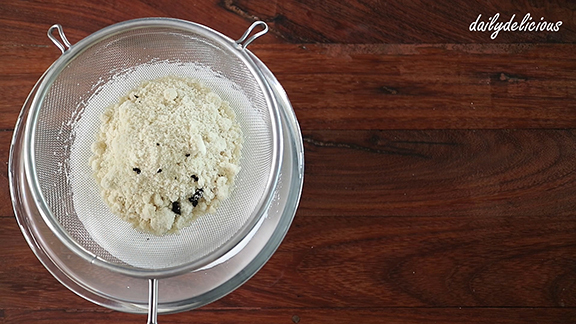 Stir lightly until fully combine. Beat with mixer until combine. 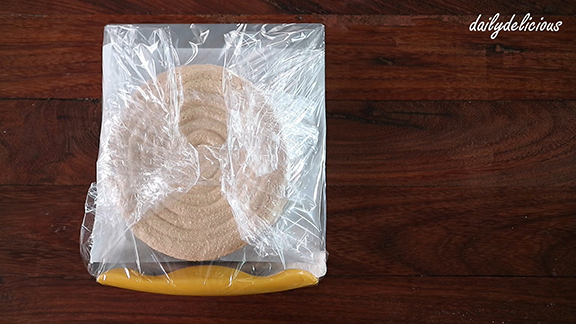 Let it cool to room temperature, and refrigerate for 30 minutes. Or until the ganache became spreadable. 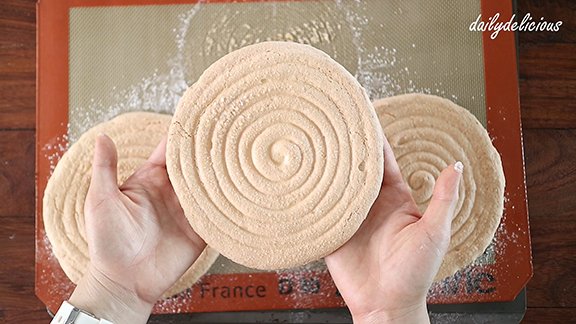 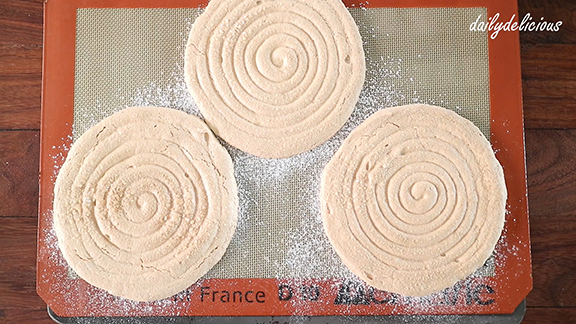 Remove the daquoise from the baking sheet. Pipe the ganache over 1 piece of daquoise, and place another piece of daquoise on top. 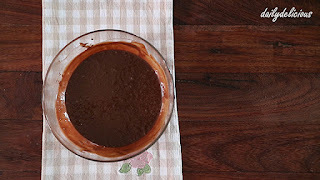 Cover and refrigerate for 1 hour or until the filling set.